It is that time of the year. Annual performance appraisals are underway. The dreaded bell-curves will be created. Feedback sessions will be held with employees and then the resignations will come pouring in. And here is something that I have always found hilarious: when employees leave they are asked to attend an exit interview – or worse fill out a form – conducted by a junior employee who clearly would be just checking some boxes. So lets see: there are multiple rounds of interviews when the employee applies to the company for a position. A single (perfunctory) round when the employee leaves. And here is ‘funny’ part – no “interviews” during her entire stint, which might run into decades! Somehow like a bad marriage the conversation just seems to dry up between the employee and her manager(s) till it really is too late. Most managers seem to be flummoxed when they get the resignation email (or instant message at times) from their team members. They seem to have no idea how the employee really felt about the work they were doing and often get upset about the resignation. Reactions range from ‘Nobody is indispensable’ to the nasty – refusing to accept the resignation, refusing to release the resource, making the exit of the employee as painful as possible citing pending projects that absolutely need to be completed. The really smart managers avoid this situation by actively engaging their employees in a continuously ongoing conversation about their work, the organization, their engagement levels, challenges they face and everything else in between. That is, these managers conduct stay interviews regularly, get the pulse of what the employees are thinking and act on it! Do not couple with performance reviews: This is tempting and in fact many companies already do it; but in my opinion it is not a good idea. An annual performance review in itself is an inefficient event and understandably stressful for both the employee and the manager – siince there would be a lot of ground to cover and there is bound to be differences of opinion of what did or did not happen in that time. Besides the employee is going to be focused on a single number – the rating on the bell curve and would hardly be giving honest and unbiased opinions on how they feel about work and the organization. Do not outsource: It might be tempting to setup an online survey or tell HR to conduct the stay interviews, but that simply defeats the purpose. The primary objective of a stay interview is to determine the engagement level and immediate concerns of the team member – something that is best understood (and appreciated) by the immediate manager. Immediate supervisor(s) or someone higher up in the direct chain of command of the employee must conduct stay interviews. Do not cherry-pick: There is no two ways about this. You have to talk to everyone in your team while doing the stay interviews. If you talk only to a select set of people – what ever be the criterion you decided, it will be perceived as discriminatory. If at this point you are wondering about how to talk to the 50 odd people reporting to you, then you have a different problem. If your span of control is more than 10, fix that first! Do look for what “makes ‘em tick”: Talk to everyone on your team, especially the high performers and try to ascertain attributes that make them successful. If the only common thing you can find is that they are all smokers and join you in the smoker’s zone, then you might want to take a deep look inwards. Jokes apart, find out what motivates the top performers about working for the company, how do they tackle the challenges that others are not able to, etc. 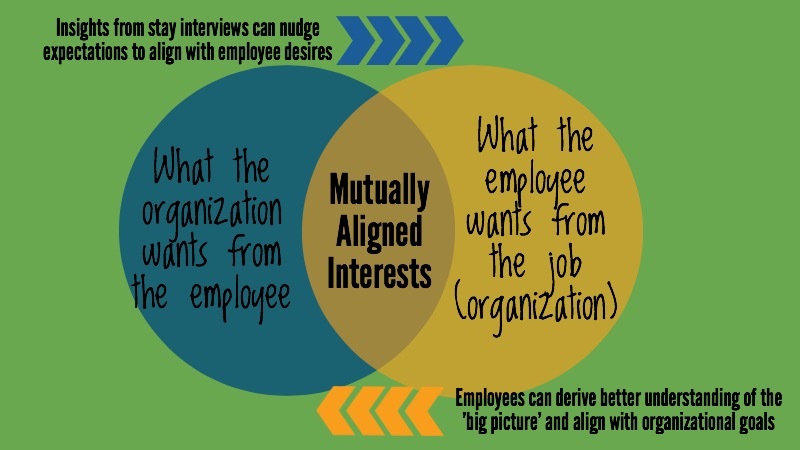 This information is not only helpful for you to guide the less engaged employees but also useful when deciding new hires. The magic of engagement does depend a lot on the personality match of the employee with the organizational culture. For example if the culture is in-your-face-aggressive then hiring the most qualified introvert won’t really help. 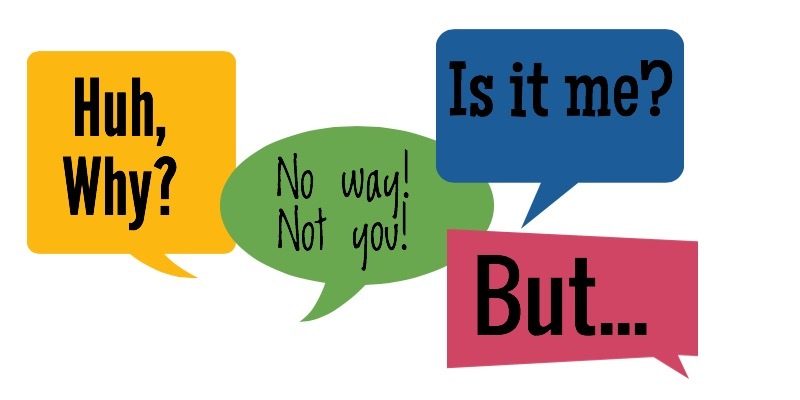 Do use the same questions: Ask everyone you are talking to the same set of questions. Only then will you be able to determine the differences across top performers and the rest and be able to help the others engage better. Do wrap it up quickly: Don’t extend the exercise beyond a couple of weeks at maximum. If you take a few months to get around to talking to everyone lots of things would have changed – most of which would be out of your control. The stay interviews are like a snapshot of the present and it should be done quickly enough to be a true representation of what your team is thinking. The final word: Remember, stay interviews give you an opportunity to connect with and take genuine interest in what motivates and engages your team members. If you come across as just ticking off boxes, then a golden chance would be missed. You couldn’t do much worse than having a 1-hour conversation, take notes and then do absolutely nothing.